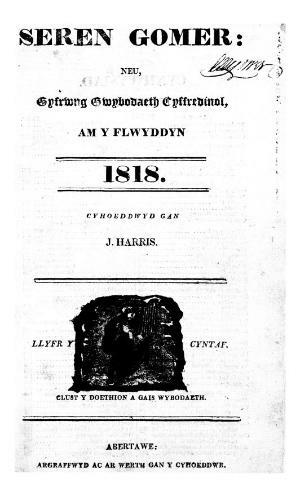 A Welsh language religious, literary and general periodical that published articles on religion, philosophy and politics alongside domestic and foreign news, poetry, biographies and reviews. Originally a non-denominational publication from 1859 onwards it served the Baptist denomination. It was published fortnightly, monthly, bimonthly, trimonthly, and quarterly at different times. Amongst the periodical's editors were Joseph Harris (Gomer, 1773-1825), William Roberts (Nefydd, 1813-1872), William Rhys Watkin (1875-1947) a Lewis Valentine (1893-1986). Associated titles: Cristion (1983).